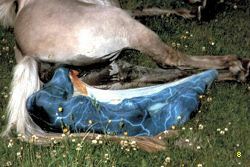 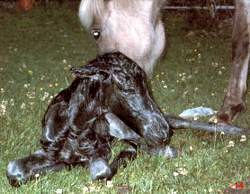 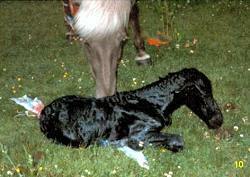 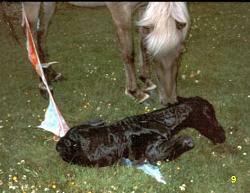 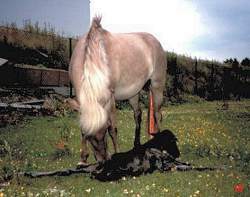 These photos of an Icelandic Horse foaling (birth) were generously shared by Veronika of Germany. 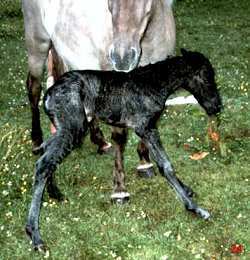 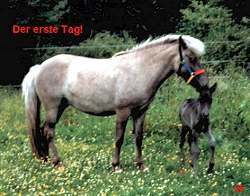 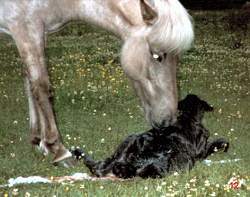 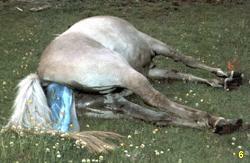 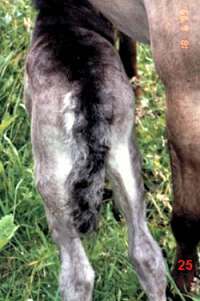 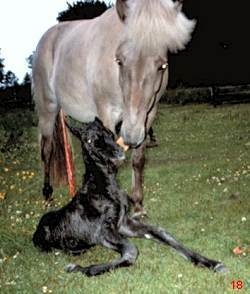 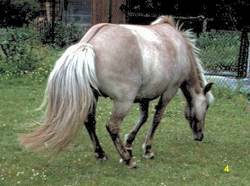 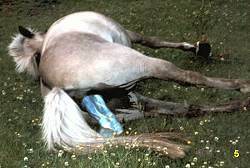 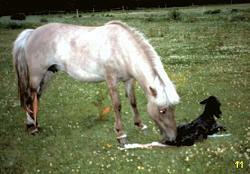 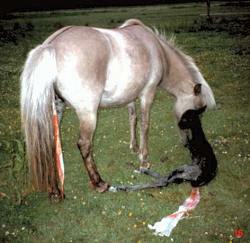 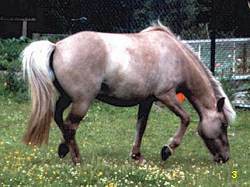 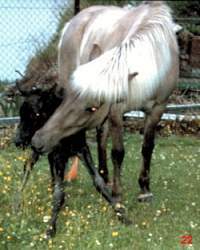 Here is a pictoral video along with commentary about Icelandic Horse foaling. 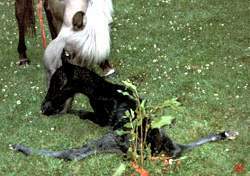 This appears to be a marketing video, as some of the points appear to be incorrect. 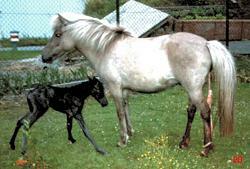 The narrator says to be sure the field is free from hazards, yet the barbed fence in the background is leaning over. 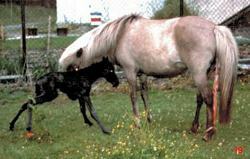 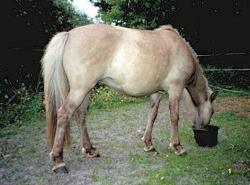 And not to have any ditches, yet there is one just a few feet from where the mare foaled. 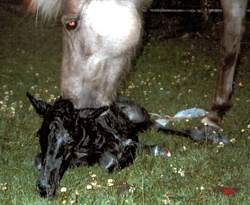 The narrator also says it's more common practice now to wait until the mare is trained before breeding. 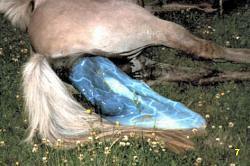 I wonder how much that is done in reality. 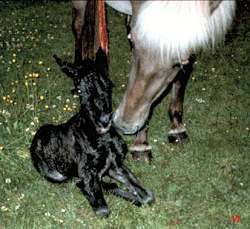 I don't think there is any data to support that; yet there is substantial anecdotal evidence that mares (and stallions) are bred prior to training.